Catcher in the Rye is the sort of book impressionable angsty kids used to have to get over. Jamie Schwartz isn’t there yet. He is not a psycho-killer by any stretch, but he could probably use some counseling. He will head off on a quest to find his literary hero, J.D. 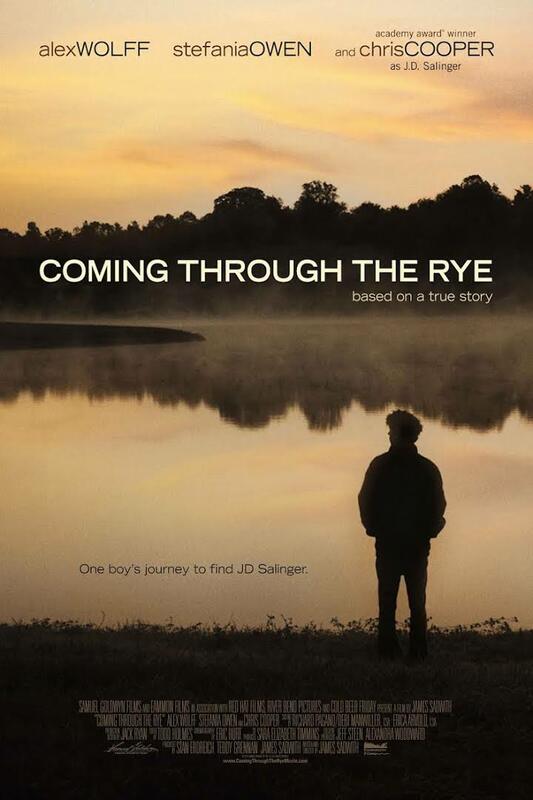 Salinger, but he just might learn some important life lessons on the road in James Steven Sadwith’s Coming Through the Rye (trailer here), which opens tomorrow in New York. The nebbish Schwartz would probably never fit in at his elitist Pennsylvania boarding school, but his notorious Salinger hero-worship only makes matters worse. However, his devotion also provides a creative outlet and a potential source of independent study credit when he adapts Catcher for the stage. The school might even mount the production, if he can just secure Salinger’s blessing. That will be quite a tall order, even in 1969. Still smarting from a recent bout of bullying, Schwartz goes AWOL, with the intention of following up a vague lead in New Hampshire. Fortunately, he is intercepted by Deedee, a more mature, but inexplicably smitten girl from the local high school. Of course, Schwartz should be more interested in her than the airhead bombshell he has been carrying a torch for, but he will have to learn this the hard way. The impossibly patient Deedee will also play pop psychologist, teasing out painful family history Schwartz prefers to ignore and deny. Frankly, Schwartz is sort of a big fat phony, but as annoying as he might be, Alex Wolff goes all in with a fully committed, irony-free performance. Plus, the romantic chemistry that slowly develops between him and Stefania LaVie Owen’s Deedee is unusually genuine and refreshingly chaste. In fact, Owen and the always reliable Chris Cooper, perfectly cast as Salinger, really elevate the predictable material. She just has that “It” factor that lights up the screen, whereas Cooper’s subtle discipline hints at Salinger’s artistic sensitivity buried underneath his protective Yankee reserve. Rye is pretty well telegraphed every step of the way, but Sadwith, Wolff, Owen, and Cooper realize it with tremendous sensitivity. It is all very nice, but there is still something creepy about Schwartz’s Caulfield-mania for contemporary viewers. Incidentally, it also makes you wonder whatever happened to those five unpublished Salinger manuscripts that were supposed to be published posthumously in relatively short succession? Regardless, Coming Through the Rye is a small, earnest, and occasionally wise film Salinger and Cooper fans should appreciate when it opens tomorrow (10/14) in New York, at the Village East.